Michelle, please introduce yourself briefly. Hi everyone, I’m Michelle. A photographer based in Hong Kong. I was born in Hong Kong but lived in UK for around 14 years now. By day I’m a freelance therapist working with special needs children. Currently I am slowly exiting this field and doing more creative arts instead. 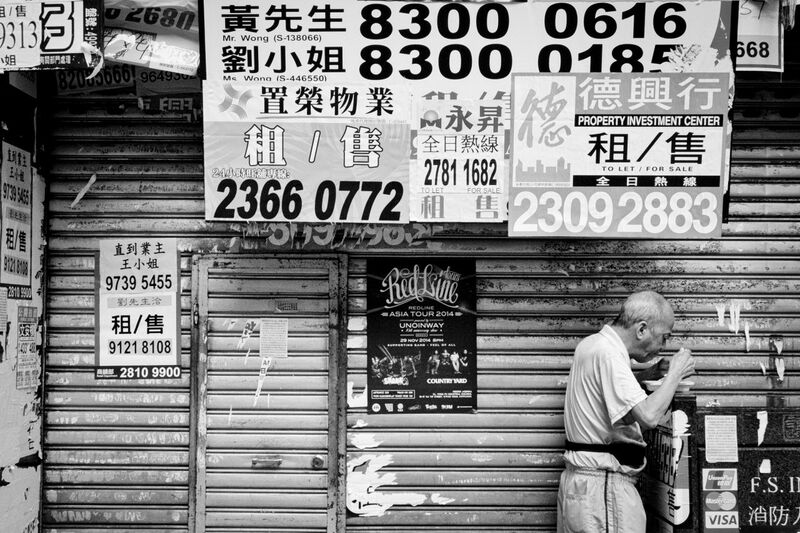 What do you look for when photographing on the streets of Hong Kong? A lot of people have asked me that, and I honestly don’t really “look for” anything on the streets. Photography to me isn’t really about hunting. I bring my camera with me all the time and I shoot whenever I see something that interest me, or what’s happening around me, it could be someone with avant-garde outfit, or it could be my family. I think I have mentioned this in other interviews, and I’ll say it here too: “Live life and make photographs, not make photographs to live life.” It’s my motto for photography. 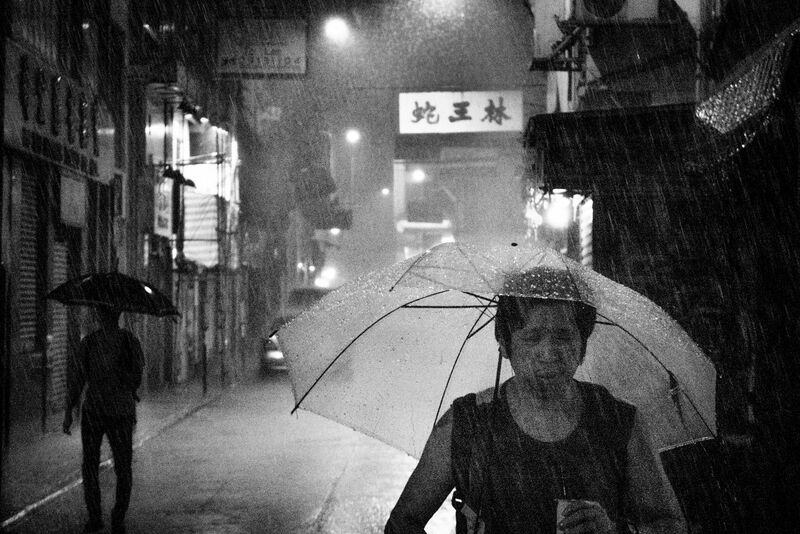 Your submitted photos are part from “A Tale of City Hong Kong”. What stories did you encounter whilst shooting that series? The purpose of shooting this series was solely for personal reasons. 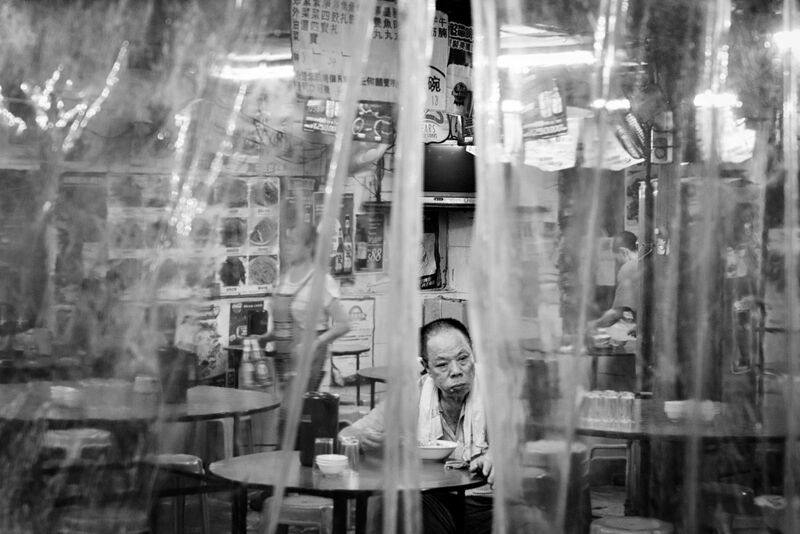 Having been away from Hong Kong for so many years, I wanted to re-discover Hong Kong again. It started out shooting with the goal of documenting the locations of where these were happening. 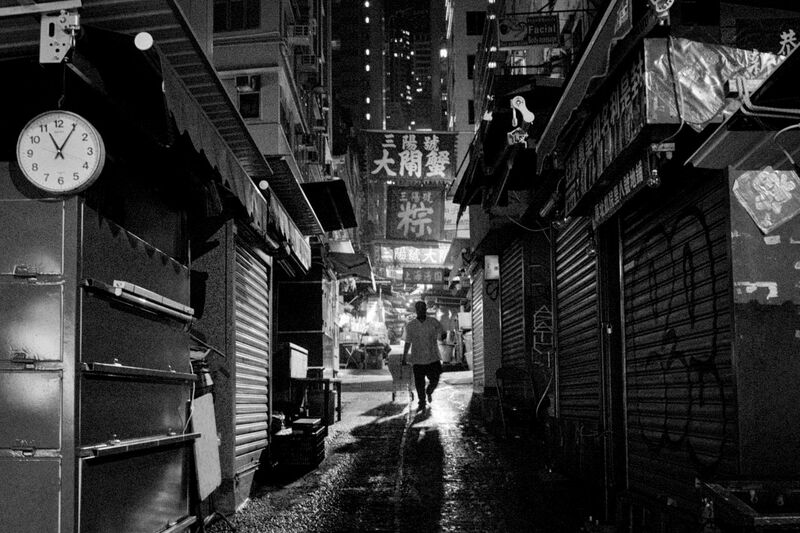 The series then kind of evolved on its own, with the way I view Hong Kong now and how I reminiscences the old. There is one photo (the lady on the right carrying a pair of shoes with an umbrella under the rain) which I remember the most. That night was hoisted with Typhoon signal 8, which means wind and rain is too strong for people to go out. When I saw that announced on the TV, I immediately took my camera and went out. On the street everyone was running around trying to find shelters, and then there was this lady who took off her shoes and walked calmly under the adverse weather and the flood. I couldn’t help but clicked my camera, I was very impressed by her perseverance. You set a high value on printing and exhibiting your work. What advices would you give to photographers who are starting working towards their first solo exhibition? I think my all time advice would be: try out things and make mistakes. Personally I think you can only really know what you want through experiences. It is your personal concern to make photographs that “makes you feel something”. In your own words, “people don’t look deeply enough anymore. There’s too much to look at”. 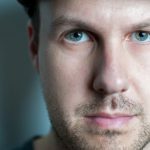 How do you personally escape that constant visual bombardment? It is difficult. Some time I just like to look at photographs just for sake of looking. Easy – I like it or I don’t like it. And I do that on Instagram. I choose carefully what content I want to follow. Every now and then I refine my selection. But more importantly is to read books. Books has so much more than just a picture on Facebook. You learn not just how to read a photograph, but also paper, book editing and design. And, go to exhibitions. Follow the galleries that have good curations. In your oppinion, how can someone avoid too much influence by others in order to find an own voice? Wow. This is something I’m constantly trying to do myself too. As Bruce Lee says – “Absorb what is useful, reject what is useless, add what is essentially your own.” You have to constantly refine and modify what it is that you feel resonate with you. E.g. 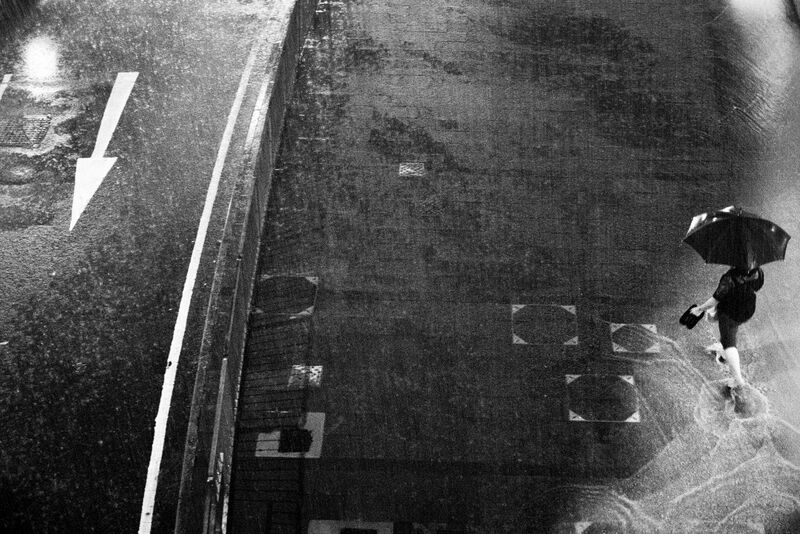 I love Trent Parke’s work. I love the dreaminess his work evokes, but I don’t find shooting in strong hard light is useful to me, and certainly I don’t spend as much time in darkroom as he does. So in this case I took the idea of “dreaminess” with me and try to portray that in my own way. 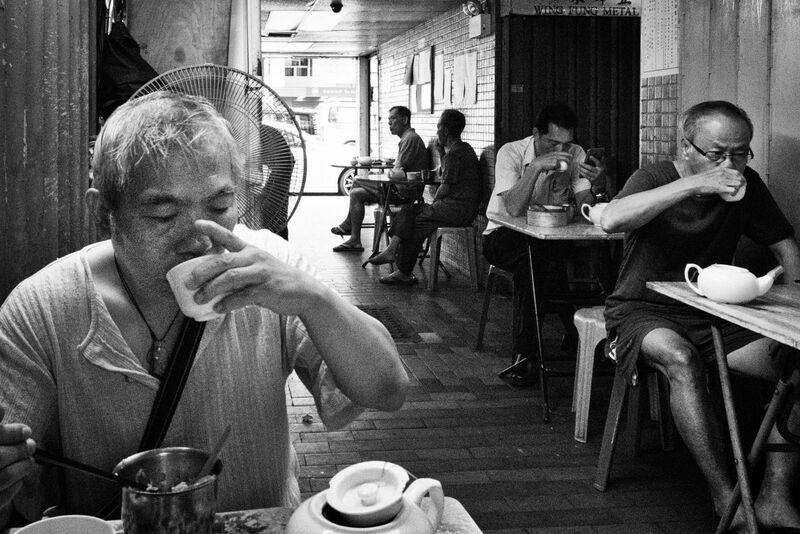 Last but not least, do you have any insider tips for street photography in Hong Kong? It’s quite easy to shoot in Hong Kong if you are a Westerner, because everyone will just treat you as a tourist. As a local, shooting becomes much more difficult. So be careful in how you approach them. 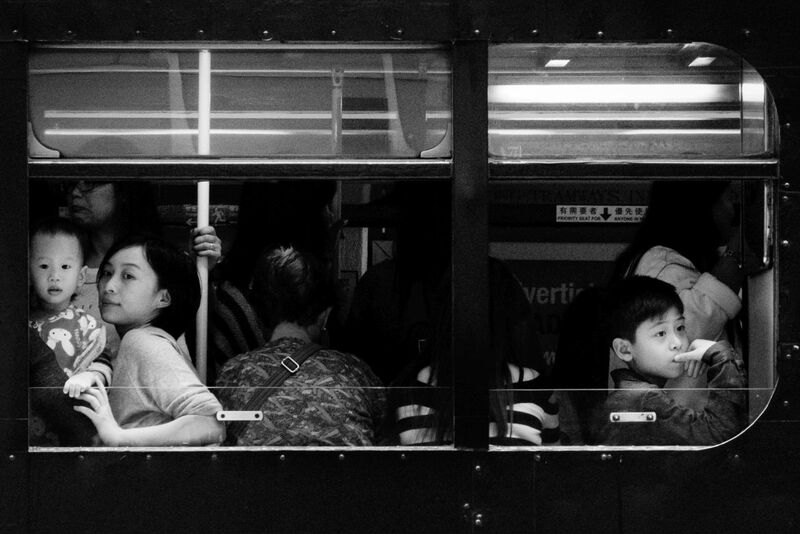 Hong Kong is a great place for street photography because of there are clusters of people everywhere. Colour is vibrant and there’s always something happening in the next corner. 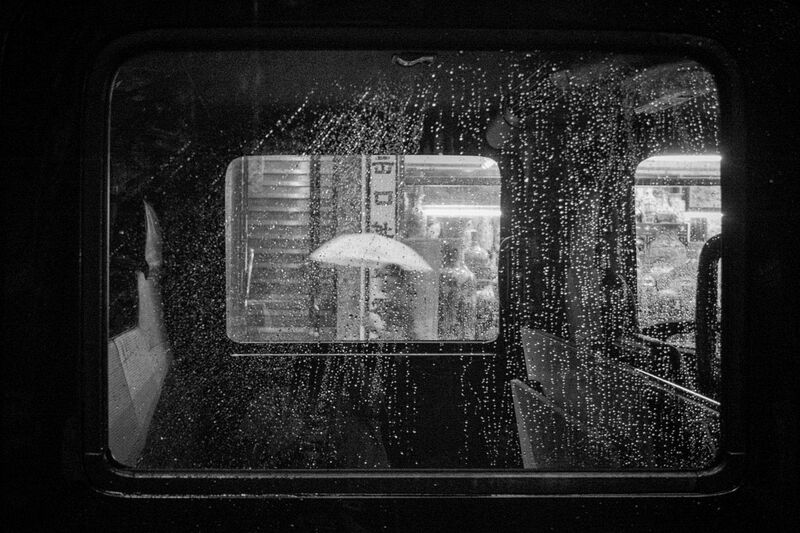 If you like urban street photography, you’ll love it.